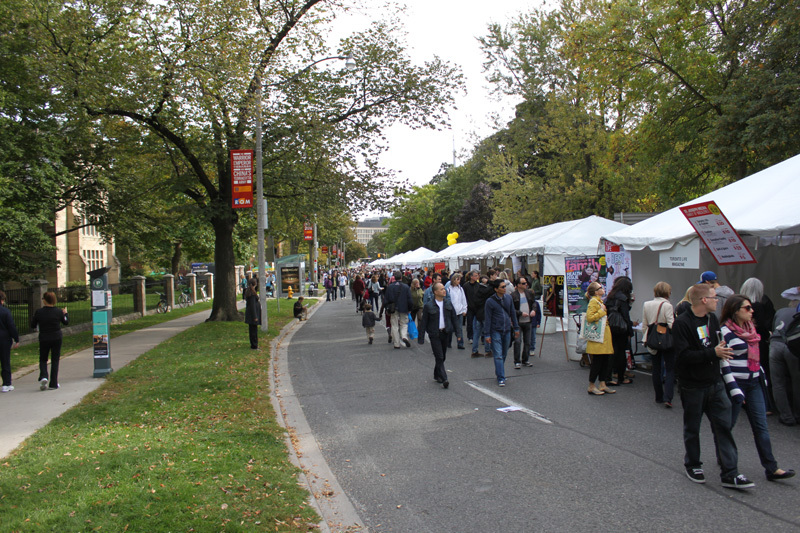 Enjoyed spending a couple hours away from my desk at the Word on the Street festival at Queen’s Park in Toronto. Great to see that literature is still such a draw, and how many different independent magazines and publishers are out there. Sony and Kobo used the occasion to show off their e-readers. Smart move. In a couple years people might all be bringing their Kobos, Kindles and iPads to the festival, and download the latest books directly in the publishers’ tents. And people will line up for authors to do e-signings of their e-books after the readings? Maybe not. Strange: I switched from newspapers to online news without hesitation, and embraced blogs and social media early on. But I am very attached to printed books. I was given a Kobo earlier this year, and I do use it – but almost exclusively for business books. Novels, stories and poems I still like to read on paper. It will be interesting to see if/when/how my reading habits will change over time. I hope both worlds will co-exist for a while. Can’t imagine giving up printed books. Life is much better with book stores like Ben MacNally Books and The Sleuth of Baker Street. 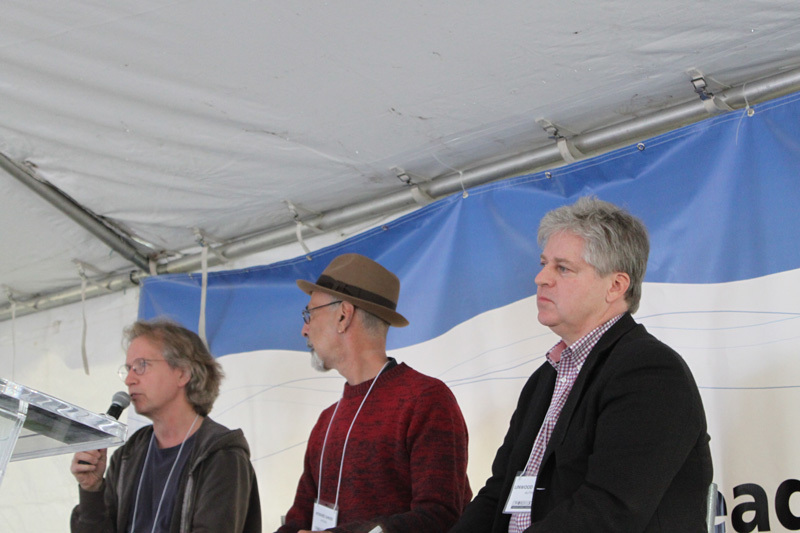 Canadian authors Giles Blunt, Howard Shrier and Linwood Barclay during the “World of Crime” readings and audience discussion. University Avenue was closed down for the festival.